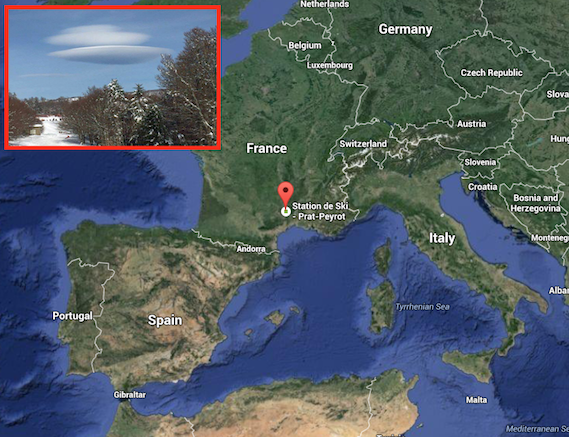 UFO SIGHTINGS DAILY: UFO Flies Low Over Prat, France On March 1, 2016, Photos, UFO Sighting News. 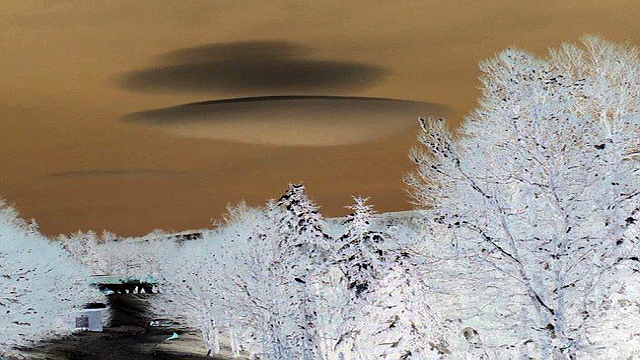 UFO Flies Low Over Prat, France On March 1, 2016, Photos, UFO Sighting News. UFOs often want to observe humans in their normal day to day behavior and to do this they must come close. To watch a monkey in the jungle using a drone camera is one thing. To see it with your own eyes...thats a whole new experience. Thats why sometimes they bring a ship closer to the ground and make clouds around them. To gain this experience and if they communicate thought telepathy, they might even link to the minds, thoughts and desires of the humans below. That is why they need to move slowly, to make this link. 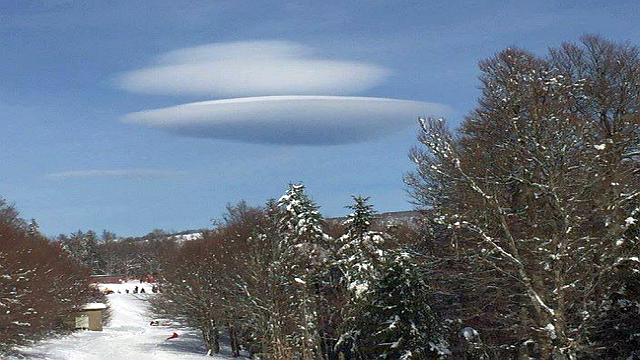 The weather phenomenon was seen and reported in the Gard, Lozère and the Bouches-du-Rhône. According to our colleagues Weather Languedoc , lenticular usually form above reliefs in stable airflow and especially during strong wind events, as was the case Monday and Tuesday.